This post is sponsored by Everywhere Agency on behalf of Orkin; however, all thoughts and opinions are my own. Science was one of my favorite subjects in school. I was intrigued by the process of asking a question, and finding the answer through scientific experimentation. I fondly remember the excitement that came during egg drop experiments in 5th grade. My dad and I spent the weekend brainstorming the perfect way to protect my egg in its carton. Sadly, my egg broke, but the experience made a lasting impression anyway. I even remember growing a lima bean in early elementary school, and the fascination of how that tiny bean could become a plant. As a homeschool teacher now, I still get excited when we complete science experiments. Hands on learning sticks so much easier than reading information in a textbook. All kids need the opportunity to learn science through hands-on experiences. That’s why I’m so excited about the Orkin Start with Science initiative, which is helping to fund in-class learning at schools across America. Teachers so often have great ideas to engage students in hands-on-learning, but lack the funds to give their students those experiences. Teachers sometimes spend their own money for students to experience more than just a textbook. 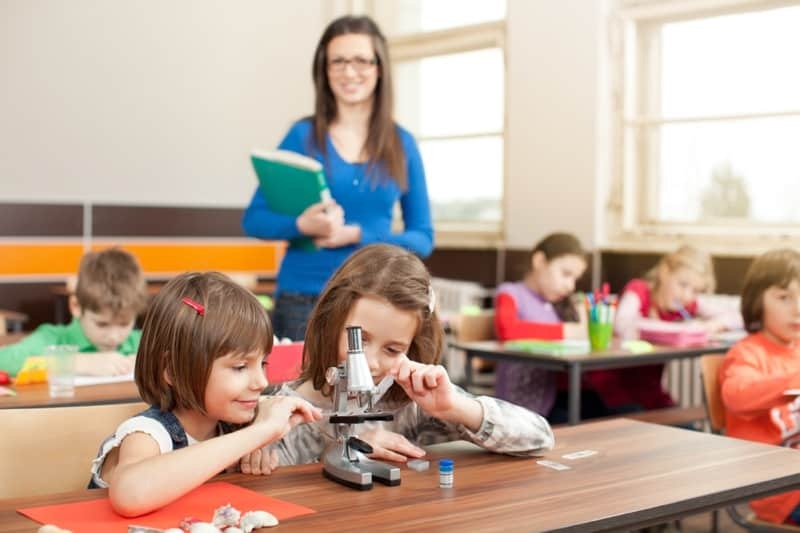 Now, Orkin Start with Science helps provide materials which make more of those hands-on-learning experiences possible. Orkin has already donated over $324,000 to fund 1400+ projects for more than 123,000 students! Until September 26th, you can help by funding projects nationwide via DonorsChoose.org. I’m so excited to have the opportunity to donate to a school in my area through this amazing initiative. The right materials can make such a difference to a teacher and her students. In fact, I’m donating $250 to my Aunt’s science classroom. I know what a great teacher she is and how she goes above and beyond to teach her students every day. When my own children have a science question they go to Aunt Kathy, because she always has an explanation they can understand- and I know she does the same for every student in her classroom. Thanks to Orkin Start with Science my Aunt’s classroom will receive a set of classroom maps with GPS receivers, so her students can learn about latitude and longitude in the real world. It feels great to know that I helped students enjoy truly memorable hands on learning by donating through Start with Science. You can help too by clicking here to pick your favorite project to donate to. Enter below to win a $50 gift card to donate to the Start with Science project of your choice! I don't have kids, but I love to support our local schools. I'm not sure how science is taught these days.